No, you’re not daydreaming! 🙂 You read that right… today we are sharing a 10-minute, healthy fish stew packets recipe — and you won’t have to wash a single pot! How can that be? Well, check it out. Our fish stew is like no other. It is quick to prepare yet healthy… and you won’t wind up with any pots to wash. I call it “the magic meal!” Haha. 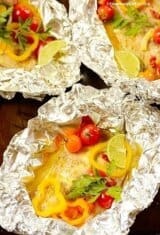 I am not kidding… All you have to do is lay a fish fillet and a few vegetables such as tomatoes onto aluminum foil… Season with salt and pepper, drizzle with olive oil, fresh lime juice, and light coconut milk, and then wrap and bake for about 10 minutes. 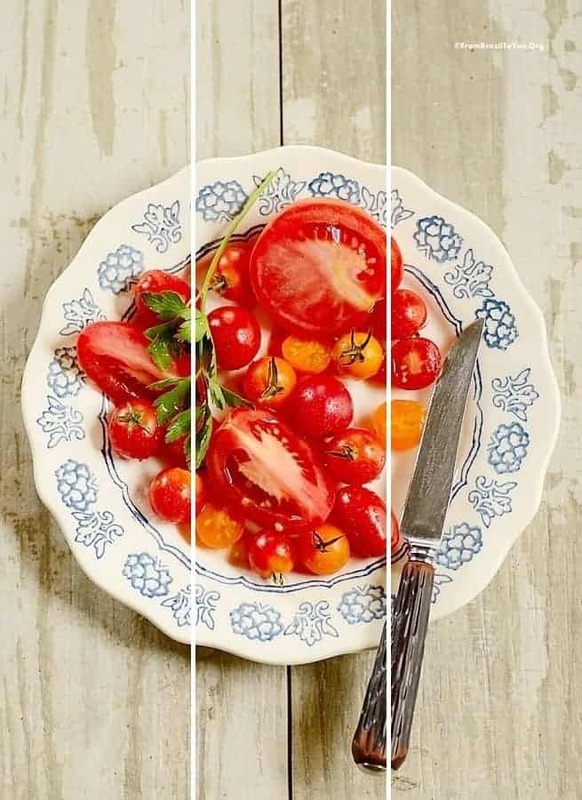 Voilá… you have a healthy meal fit for a king! Like I told you, it cannot get any better, folks!!! This is my little way of enjoying a taste of home while accommodating for my busy yet health-conscious lifestyle. Life is all about balance; each of us has to find our own. 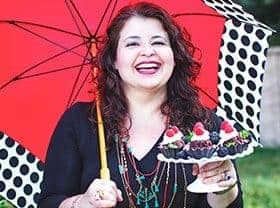 Healthy yet tasty food and moderate exercise are one way to find enjoyment without taking years off of one’s life… right? I not only try to live by this principle, but also to pass it on to my children. Speaking of children, this dish is so easy that even a seven-year-old could prepare it. Layering, seasoning, drizzling, and wrapping demand no special skills. The same thing goes for cleaning up after preparing our fish stew packets. Again, even a child can do that! We used Dreft All Purpose wipes to clean off all surfaces with spills. Easy, peasy! If you would like to find out more about Dreft products, visit the Dreft home website and print a $0.50 off coupon. Yeah, babe, save! 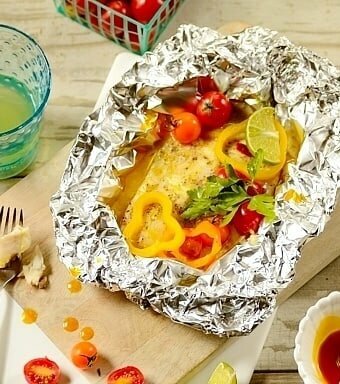 For now, enjoy our quick and healthy fish stew packets! 10-Minute, Healthy Fish Stew Packets that can be served with rice, another grain of your choice, or hard-crusted bread. Place four 14 x 12" sheets of aluminum foil on a work surface. 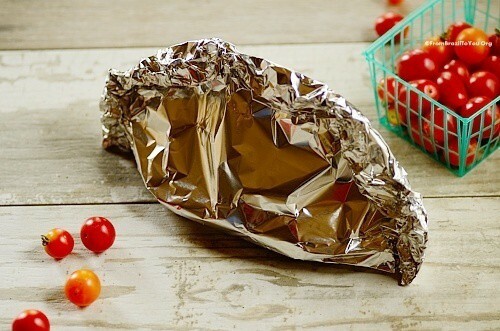 Divide bell pepper slices among foil sheets, arranging in a thin layer in the middle of the sheet. Sprinkle chopped onion, dividing equally. 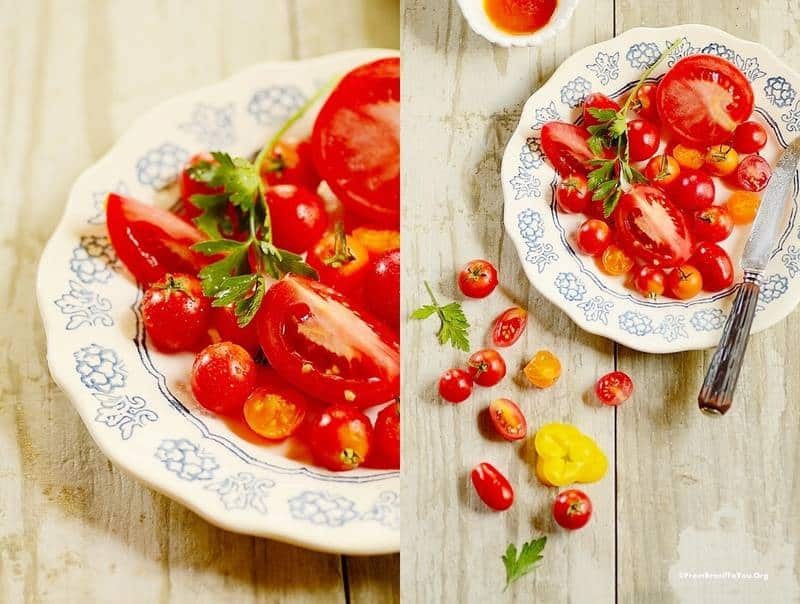 Scatter tomatoes around the other vegetables. Drizzle each packet with 1/2 Tablespoon olive oil. Season fish fillet on both side with salt and pepper and place each fillet atop vegetables. Drizzle 1/2 Tablespoon olive oil over each. Place minced garlic and 1 Tablespoon lime juice over each fillet. In a small bowl, combine coconut milk, water, palm oil (if desired), and a pinch of salt, and then spoon over each fillet (NOTE: If desired, you can add a pinch of paprika to the coconut milk mixture, if you are not using palm oil). Finish by placing 2 malagueta peppers (if desired) on top of each fillet plus 1/2 Tablespoon of chopped cilantro or parsley. 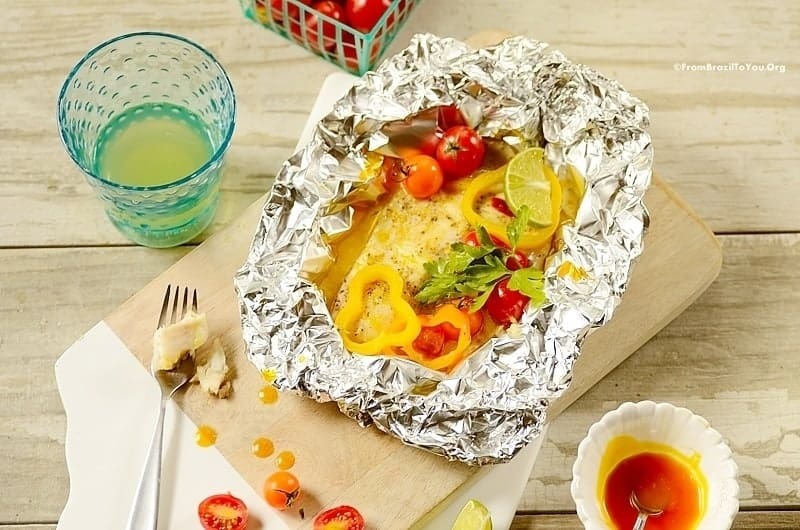 Fold foil over mixture and crimp edges tightly to form a sealed packet ( NOTE: Can be made 4 hours ahead and chilled). Let stand at room temperature for 15 minutes before continuing. Preheat oven to 400°. 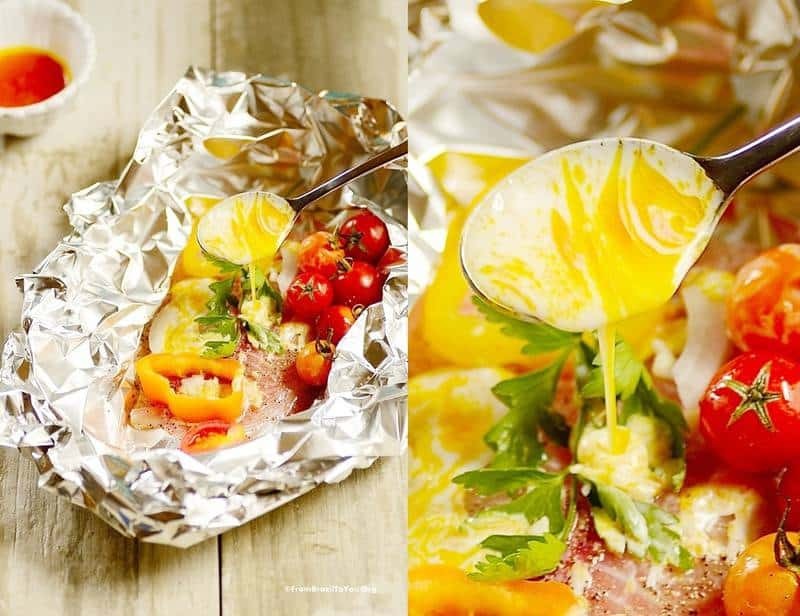 Place packets in a single layer on a large rimmed baking sheet. Bake fish until just cooked through , about 10-15 minutes. Carefully cut open packets (steam will escape). Serve over white rice. If desired, you can serve with another grain dish or your favorite hard-crusted bread instead. Enjoy! This post is part of the Healthy Families Campaign with KSW Media. Thanks to Dreft for sponsoring this post! As always, all opinions are honest and my own. 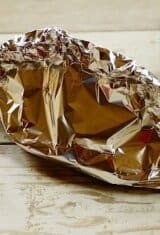 I am not shy about using foil to ease the mountain of never ending clean up in the kitchen! Your recipe is appealing on so many levels, the clean up problem solved but also the moist tender fish! And great way to use up all those summer vegetables. Cooking this way really is magic. And easy! And such a perfect way to cook fish — always turns out moist. Really good — thanks. 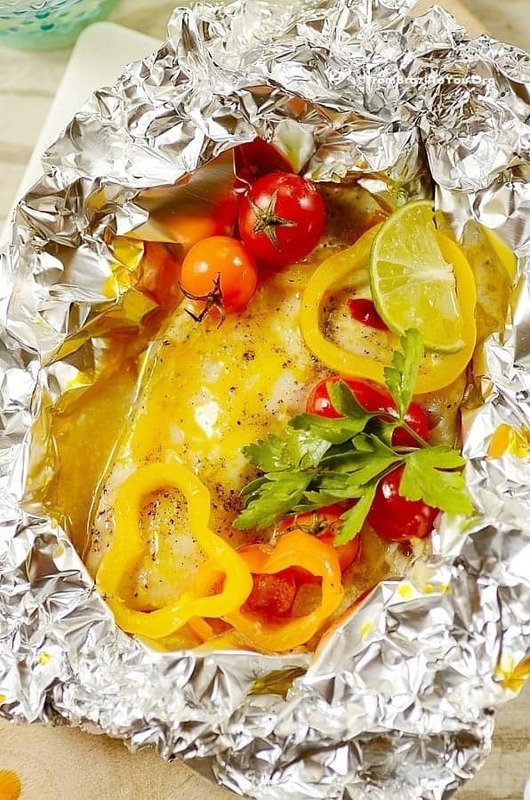 I’m a big fan of packet cooking, especially fish! The fish says so moist and love the clean up because there is none. Love the coconut milk in this and all the vibrant colours!! OMG the fish look so fresh an juicy…!! These are so pretty and sound scrumptious Denise. I love how easy they are and the “no clean up”! Just in time! I was just thinking about trying a ‘papillote’ dish- your recipe has given me some good ideas, Denise! My hubby would love love these parcels. I really believe it’s one of the best ways to enjoy fish, moist and flaky. So beautiful Denise especially with the coconut milk. yum. Enjoy your weekend dear. amazing. really made in 10 minutes? so quickly! I will try to do it for my children for breakfast tomorrow.thanks for sharing!